1. Dry eye: Dry eye is a problem that you can develop at any age, but as you get older your eyes become more susceptible to having symptoms of dry eye. Women in particular are highly susceptible to dry eye during pregnancy and menopause. Changes in your hormones affects the production of tears, which can massively affect your eye comfort. It has been found that those who suffer from dry eye, also are prone to an eyelid irritation known as blepharitis—a common cause of eyelid inflammation and irritation. 3. Age-Related Macular Degeneration (AMD): AMD targets your central vision, thus limiting your ability to read, write, and make out small details. Symptoms of AMD are generally caused by one of two things—Either the macula of your eye has begun to thin, or there is an abnormal growth of blood vessels located under your retina. If left untreated, AMD can lead to permanent blindness. Regular visits to an eye doctor are essential in catching this eye disease early. 4. Glaucoma: Usually due to high ocular pressure, glaucoma is an eye disease that damages the optic nerve of your eye. The optic nerve is the part of your eye that transmits visual information to your brain to process and create vision. Peripheral vision is highly affected by glaucoma, and if left untreated you risk developing tunnel vision, or complete blindness. 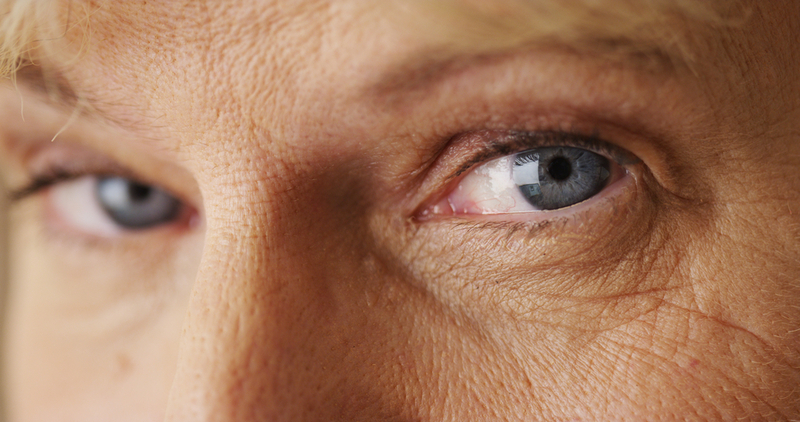 Glaucoma is most commonly seen in people age 55 and up. In most cases, there are no symptoms during the early stages of glaucoma, so it is a good idea to go in for regular eye screenings to ensure your eye health remains in tip top shape. 5. Cataracts: Extremely common among senior citizens, cataracts are the clouding of your eyes natural lens. This occurs because the proteins in your eyes lens begin to clump together, these unwanted protein clumps are called cataracts, and they make a real mess of your vision. If you have cataracts, then performing simple daily activities will become more of a challenge. Night driving becomes increasingly more difficult because of the added glare from the cataract. Surgery is currently required to remove cataracts from your vision, but like with glaucoma, symptoms of cataracts during the early stages may not be obvious so it is recommended that you are having your eyes regularly checked with an eye doctor to detect these things as early as possible.